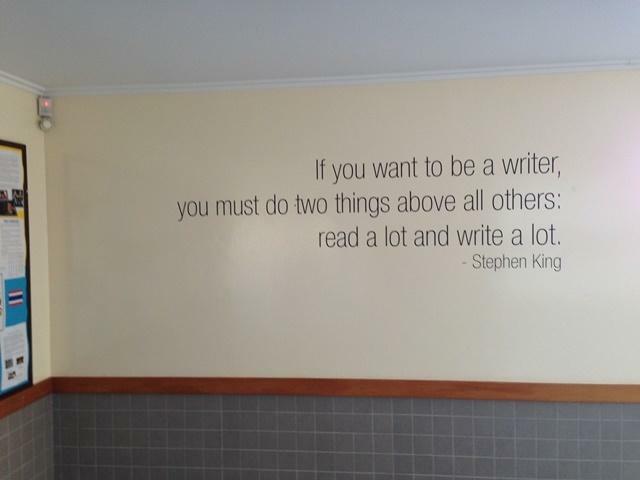 Saint Kentigern College, a large private secondary school in Pakuranga, Auckland, commissioned Grafix Wall Art to create wall art for several of its corridors and classroom walls. Although the existing items on the walls contained useful information, they were randomly placed and looked untidy. The aim? To achieve a more cohesive and streamlined look in these busy and highly interactive spaces. 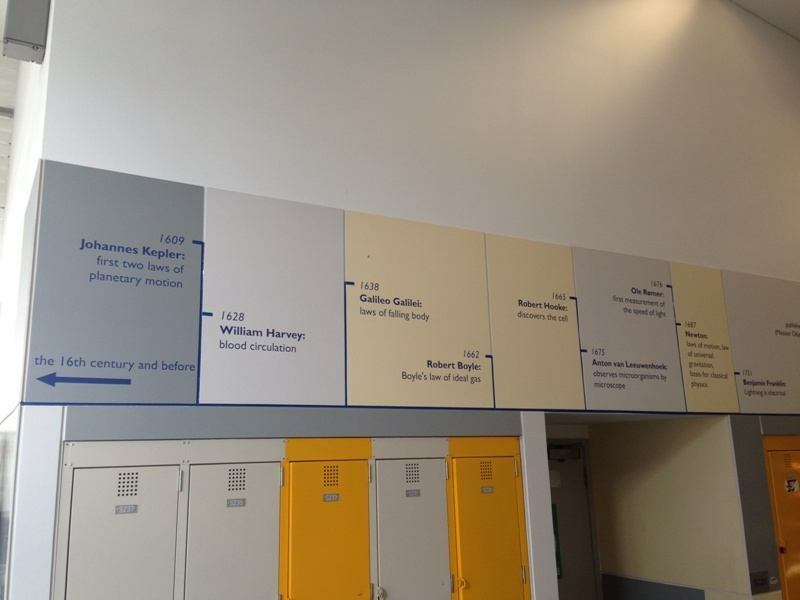 First up was a timeline of all the important dates in science, which needed to be specially designed to run above the lockers in the Science block. 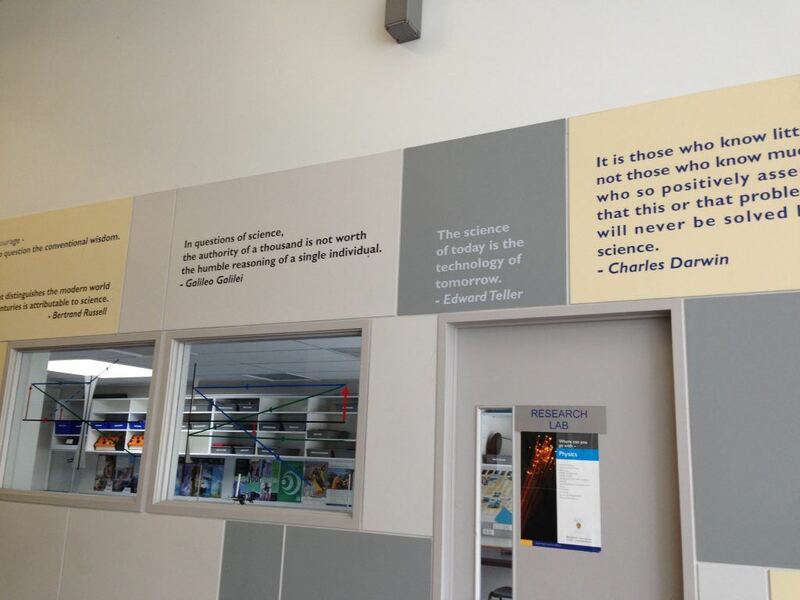 Then, when Saint Kentigern College Head of English Department JoAnn Wordsworth saw the results – a crisp, clean graphic that educated and engaged students while providing a decorative element – she too was keen to achieve something similar on the walls of her department’s three corridors. ‘’JoAnn wanted to show key pieces of literature in history and the historical events that went with those books and represented what was going on in history at the time’’ says Christine Petty of Grafix Wall Art. 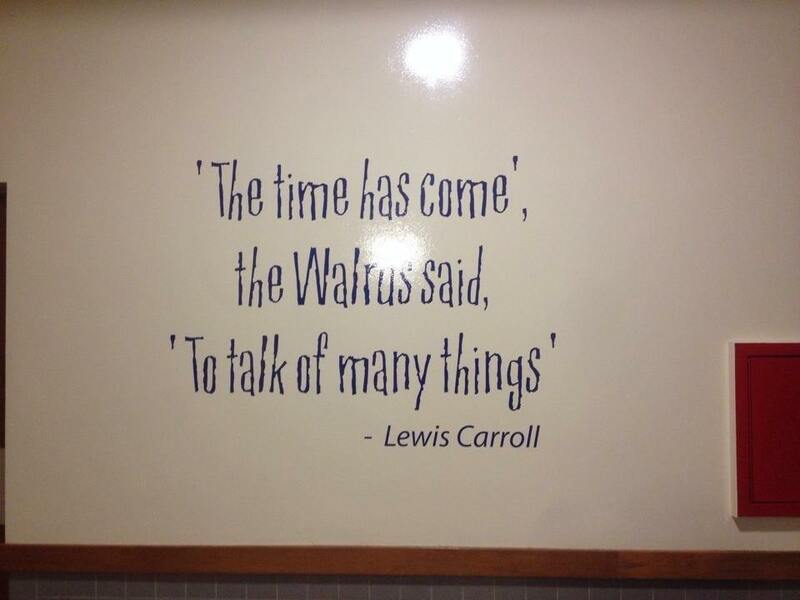 As well as a timeline, the brief was also to incorporate famous literary quotes. For the media studies room the Grafix team also created a special timeline, complete with supplied photos, illustrating key steps of filmmaking – rising tension plan made simple! – and the various movie genres. 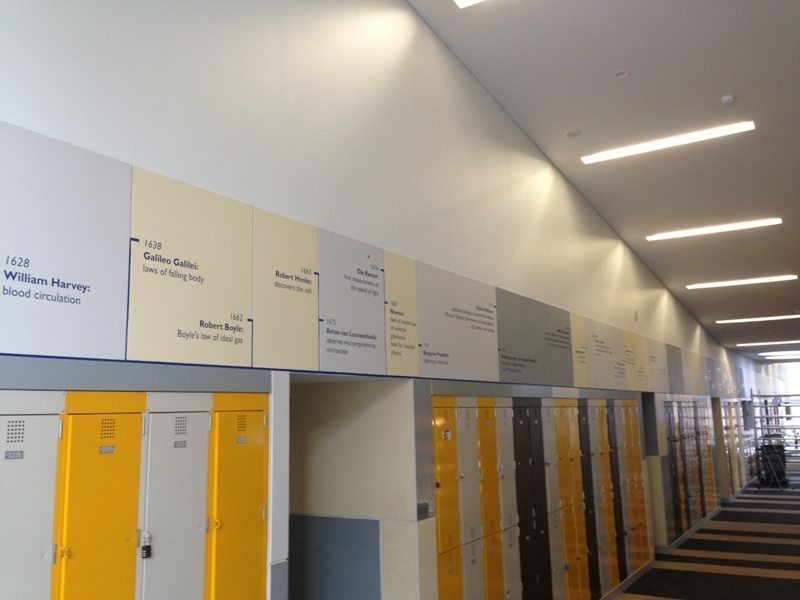 The college continues to work with Grafix Wall Art on its ongoing wall art needs and signage, including on the ceiling of the library and on the walls in the sports department. 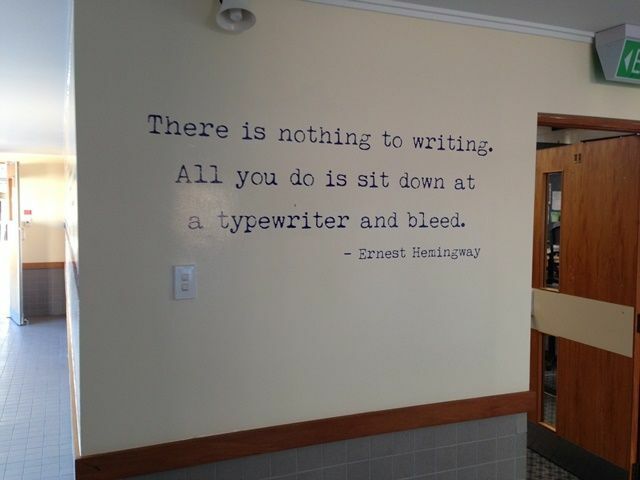 So, how exactly is the wall art making a difference at Saint Kentigern College? Head of English Department JoAnn Wordsworth says she loves the results. “The quotes, for example, have changed the energy in the corridor,’’ she explains. “It’s a more cohesive space as students and teachers know that it is the English block and that sense of definite space and purpose make us all feel surrounded and connected by language. JoAnn says the wall art has also opened discussions, as students and staff talk about the dates and names on the timeline. “The newer, culturally aware stuff, Chinese / Maori / Korean / Japanese / Pacific Island poetry and extracts, have also created an awareness of global literature.’’ She adds: “Visually, it also offers people something to discuss and feel connected to – things they have read or been taught in college – in fact, parents often remark on texts they studied.